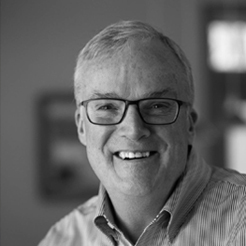 Tom brings over 30 years of experience to his role at Conversant. He has deep expertise in helping leaders and organizations evolve in order to become more relevant to customers, accelerate the impact of their strategy and ensure that their leaders are ready to face the challenges of the future. Prior to Conversant, Tom was a Global Partner at Mercer Leadership Development. Tom’s sweet spot is at the intersection where people, strategy and organizations come together to deliver extraordinary results. He has consulted with companies in multiple industries and in every corner of the globe. He was the lead author of the groundbreaking book, Managing the Customer Experience. Tom believes that the connection between leaders and the people they lead is the most critical success factor in any strategic endeavor. Leaders who are intentional about how they lead people through change are capable of achieving extraordinary results. Tom is uniquely capable and committed to causing that connection with his clients. Tom views his life as a portfolio of interests that he is continually rebalancing to ensure that each is contributing to the well-being of his family and his community. In addition to his consulting work at Conversant. he contributes his time and resources to the education of young leaders in developing countries. And on weekends during the summer and fall, you’ll most likely find Tom out in the vineyard or working in the tasting room of his award-winning winery on Michigan’s Leelanau Peninsula.